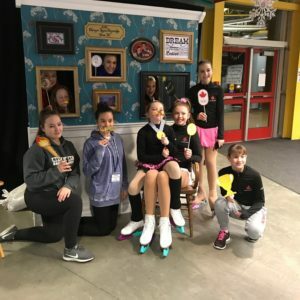 The STARSkate program consists of figure skating skills in four areas – Skating Skills, Ice Dance, Free Skate and Interpretive. The Skating Skills program solidifies the basic fundamentals of skating – edge quality, control, power and speed. The Ice Dance program consists of seven levels of tests and teaches timing, musicality and rhythm interpretation. Free Skating consists of the execution of jumps, spins, footwork and stroking, either in isolation or performed in sequence to music. An Interpretive program provides skaters with the opportunity to explore the performance aspect of skating without focusing on technical elements. Click here for more information about the STARSkate program. 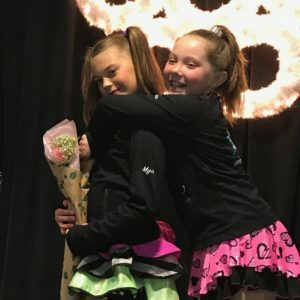 STARSkate participants love to compete and skaters have the opportunity to participate in several competitions each year. The Star 1/Primary program is designed to bridge the CanSkate and STARSkate programs. To enroll in the Star 1/Primary program, skaters must be working on CanSkate badge Levels 4, 5 or 6 and be selected by a coach. The registration fee for this program includes all ice and coaching costs. Jump techniques, spins, edges and turns are taught in a fun and encouraging atmosphere. 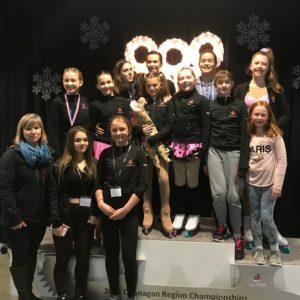 Skaters have the opportunity to participate in off-ice classes, take part in club shows and fun events and enter Star 1 competitions when ready and interested. Skaters who wish to compete need to contact a club coach in order to arrange for additional private or semi-private lessons. The STARSkate 1 program is designed to bridge the CANSkate and STARSkate programs. Open to skater's working on badge levels 4, 5, or 6. Boys and girls welcome. STARSkate 2 program provides opportunities for skaters to work on skills, dance, and free skate. 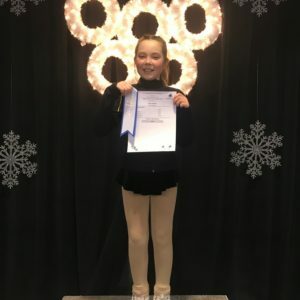 The Star 2/Intermediate program provides opportunities for skaters to work on skills, dance and free skate. Skaters are selected for Star 2/Intermediate by the coaching staff and encouraged to register for at least two sessions per week. The registration fee for this program includes all ice and group coaching costs as well as off-ice classes. Skaters who wish to compete need to contact a club coach in order to arrange for additional private or semi-private lessons.